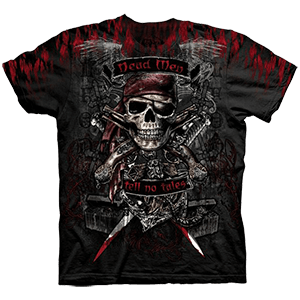 We provide a wide variety of pirate clothing for men and women to enjoy. Our pirate apparel displays bright colors, bold patterns, elegant braid, shiny buttons, and other excellent details. 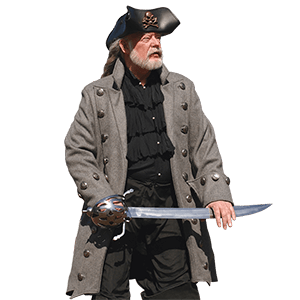 We carry pirate coats and jackets, pirate vests, pirate shirts and blouses, pirate pants, pirate sashes, pirate corsets and wench bodices, pirate skirts, and much more. 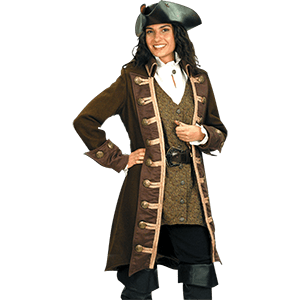 In addition to individual pieces of pirate attire, we also offer excellent complete pirate ensembles for women in the style of famous figures like Mary Read. Whether you are dressing up like the captain of the ship or just a scoundrel on deck, we have all the buccaneer clothing you need to create a roguish look. This swashbuckler apparel works great for theatrical productions, costume parties, the Renaissance fair, and LARP events. Is your child ready for adventure on their high seas? Be sure they are dressed the part of a dashing young swashbuckler or commanding pirate queen with our selection of kids pirate clothing! We offer a wide variety of childrens pirate clothes for boys and girls here. Shop essentials, like lace-up pirate shirts and pants, alongside kids pirate captain vests and coats. Our pirate blouses, dresses, and skirts can add a touch of feminine style to fearsome scallywag looks. 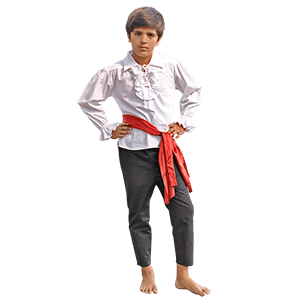 Your little one will feel ready to hunt for treasure or make their enemies walk the plank when they wear our kids historical pirate clothing at their next reenactment event, theatrical performance, Renaissance fair, or other pirate-themed occasion.